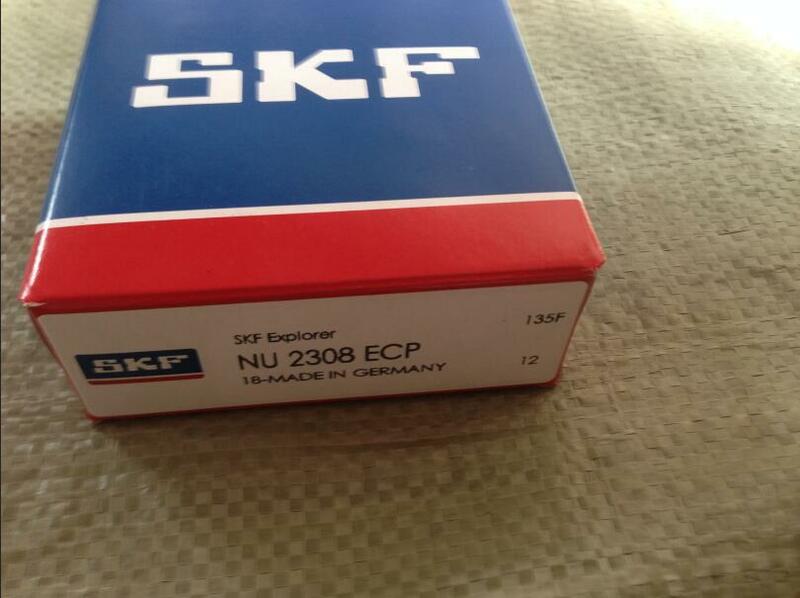 SKF cylindrical roller bearing NU 2308 ECP, the cylindrical rollers are in linear contact with the raceway, with a high capability to bear radial load, which is suitable for both heavy and impact load and high-speed rotation. Single row cylindrical roller bearings NU 2308 ECP can accommodate heavy radial loads and high speeds. These bearings are mainly used for medium and large motors, generators, internal combustion engines, machine tool main shafts, speed reducers, loading, unloading and handling machineries, various industrial machineries. The rollers in a single row cylindrical roller bearing NU 2308 ECP are always guided between the integral "open" flanges on one of the rings. These "open" flanges combined with the specially designed and surface treated roller ends, provide improved lubrication, reduced friction and consequently lower operating temperature.